From the beginning, Meissen’s history has been shaped by influences from a variety of artistic and cultural movements. Even in the 18th century, Johann Gregorius Höroldt mixed exotic Asian elements together with the opulent ornamentation of the Late Baroque period in a unique way. His designs were based on earlier Chinese and Japanese porcelain. This tradition continues today in the MEISSEN Atelier. 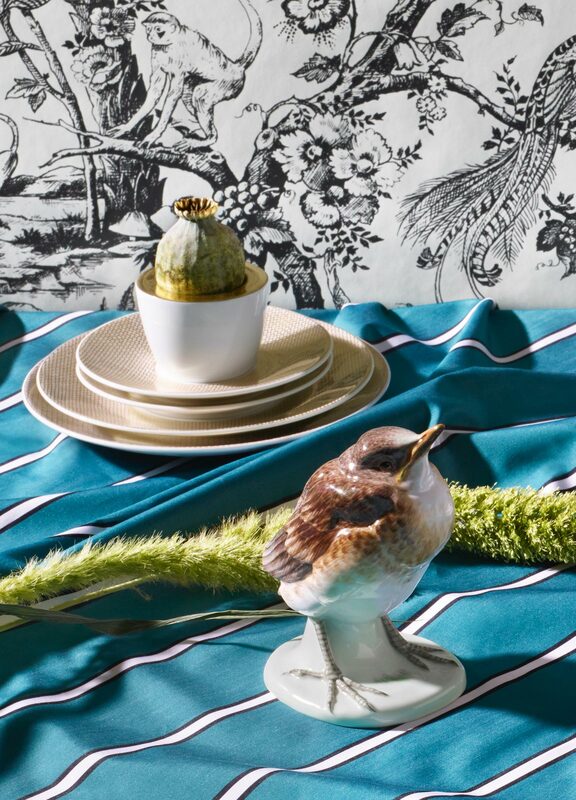 Together with Meissen’s Creative Directors Otto Drögsler and Jörg Ehrlich, the MEISSEN Atelier is a place for both in-house and outside artists and designers to push the manufactory forward creatively, and gives them the space to take their art in unexpected directions. The resulting balance – and, at times, friction – between traditional craftsmanship, inspiration from external artists and designers, and the ideas of Meissen’s porcelain painters and sculptors is an essential part of the creative process. It is vital for the creation of these works – at times unconventional interpretations, paradoxical contrasts, or even quirky marriages of styles – which define the MEISSEN Atelier and make it a crucial part of the Manufactory’s history. With her interpretation of the Three Wise Monkeys, Maria Walther has created an expressive depiction in the tradition of Meissen animal statuary. 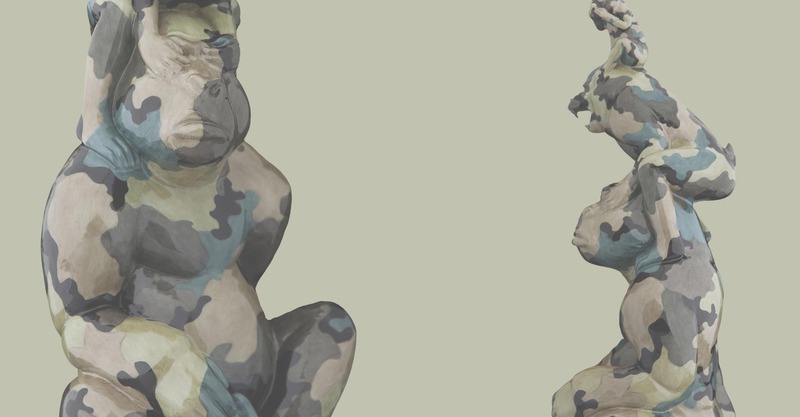 With no naturalistic template, the detailed camouflage pattern – a nod to the sculptures “see no”-symbolism – requires the utmost in abstract thinking. 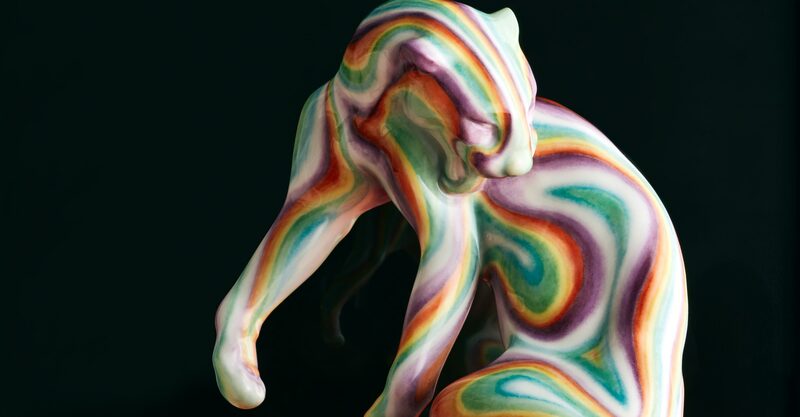 “Rainbow Panther” is Creative Director Otto Drögsler’s high-contrast reinterpretation of the historic sculpture by Erich Oehme. The lively rainbow pattern is created through an expert combination of painting and stippling with extremely fine brushes and rounded out in multiple firings. 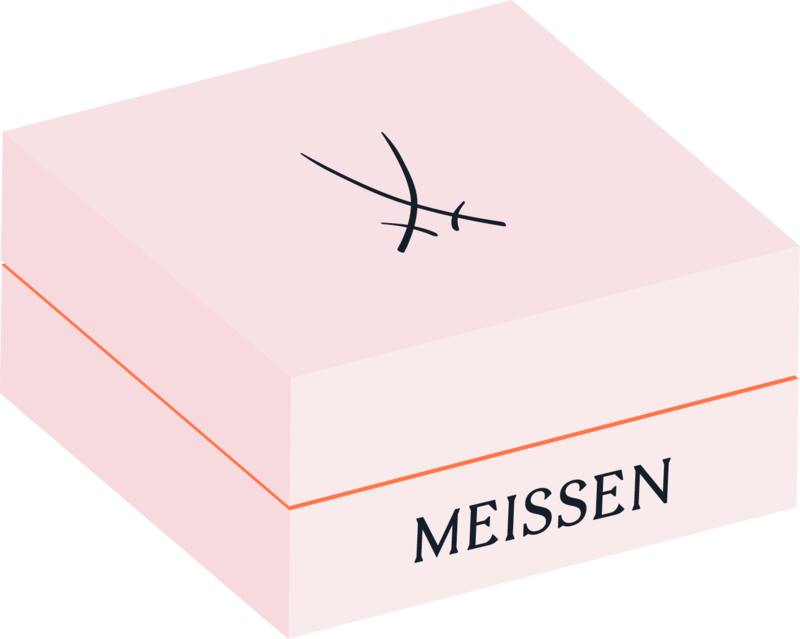 The marriage of historical figures and contemporary styles has taken place throughout Meissen’s history since its founding. By covering Peter Reinicke’s “Japanese Dancer” from 1743 in a zebra pattern, Creative Director Otto Drögsler has consciously decided to pursue contradiction. Fine lines in a variety of black and grey tones are applied with a great deal of artistic skill, carefully hugging the dynamic curves of the figure; not a single line is interrupted. Contrary to the tradition of highlighting clothing and gestures through realistic painting, the pattern on this figure allows a number of structural details to recede into the background. 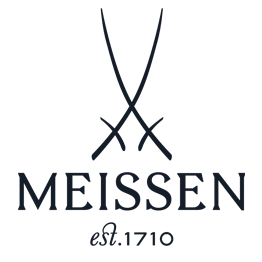 As a result, the dancer appears to us as almost a silhouette. 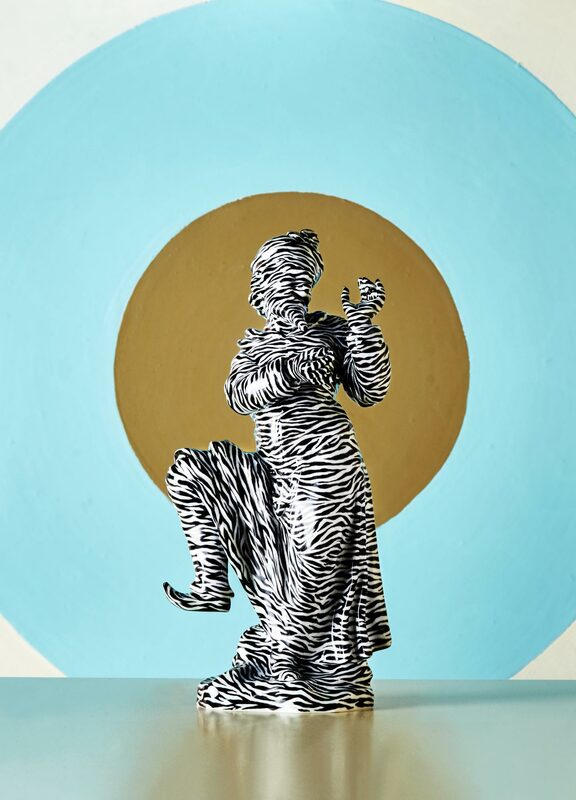 The figure’s decor represents the invisible interplay of conflicting cultures: zebra print is nowhere to be found in the traditional Japanese catalogue of colours and patterns. American artist Chris Antemann’s installation, Forbidden Fruit is a contemporary celebration of the 18th-century banqueting craze. It is a playful mixture of lavish, colorful ornamentation and historical themes inspired by the Meissen archives and the largest artwork in a long line of collaborations between the artist and the manufactory artisans. For the Unique artworks as well as the Limited Editions in Antemann’s collections, she draws on Meissen’s traditional techniques to create detailed scenic tableaus that at once imitate and parody the themes found in 18th century porcelain figures and paintings. In her interpretation, the stories, characters and events build upon one another and make clear statements on family rituals, social etiquette and taboos. Scenes are peppered with subtle innuendos that are only made possible by the skilled application of the decorative aspects which are layered over the figures highlighting the artist’s historical understanding. 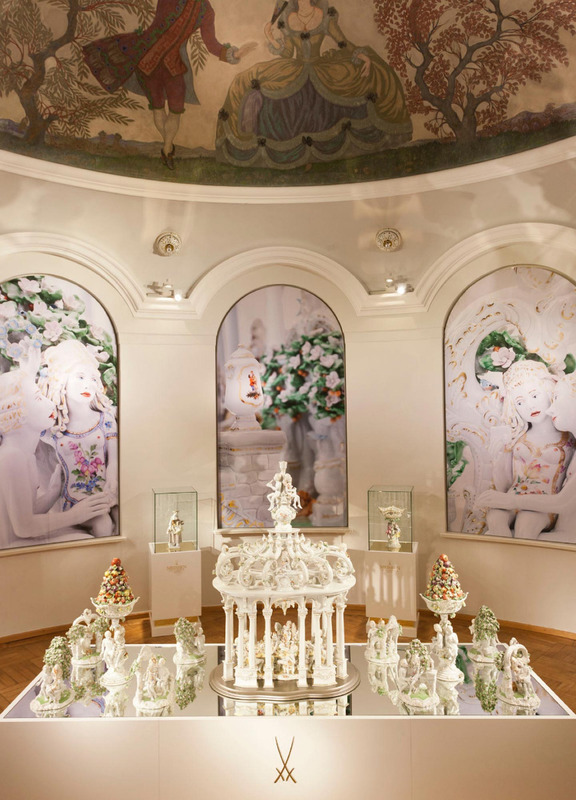 After its illustrious debut at the MEISSEN Museum of Art in 2013, Forbidden Fruit traveled for three years to six venues in the US, including the Museum of Arts and Design in NYC, and, in June 2019, will open at the State Hermitage Museum in St Petersburg, Russia. For “Tattoo Lioness”, Otto Drögsler created a complex design out of manifold graphic tattoos that, in his hand, become reminiscent of monochrome porcelain painting. 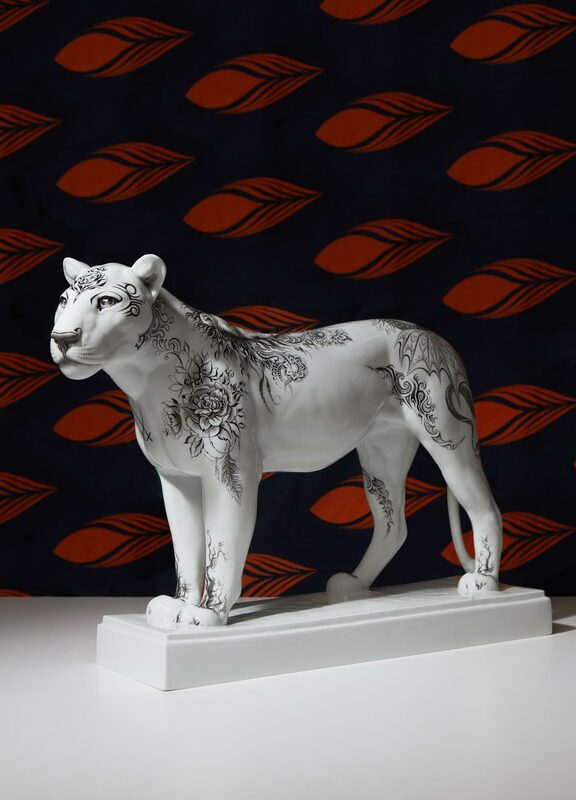 The pattern is applied to different portions of the historic 1922 sculpture of a lion by August Gaul similar to a collage, thus reinforcing the figure’s majestic presence. The detailed tattoo motifs and their lavish application demand the ultimate precision and expert craftsmanship on the part of Meissen’s porcelain painters. 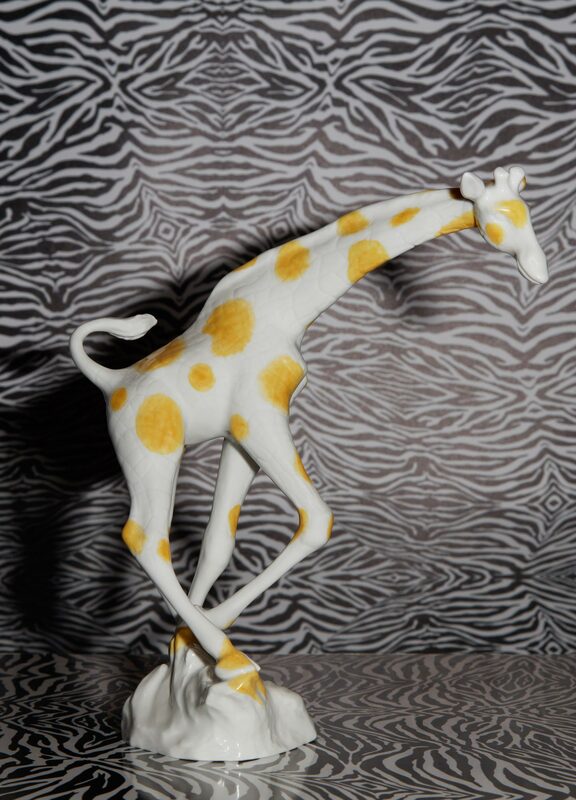 “Pop Giraffe” is a contemporary interpretation of a Meissen animal sculpture from 1955. The golden-orange decor is reminiscent of naturalistic giraffe prints, however, upon closer inspection, reveals itself as an abstract, Pop Art-inspired variation on this pattern. Within the production of this figurine, the challenge lies in the tall, lanky nature of the giraffe: the hooves of the animal, which is captured here in motion, barely touch the base; necessitating a great deal of skill and expertise to ensure that the figure does not buckle during firing. Unlimited creative freedom. 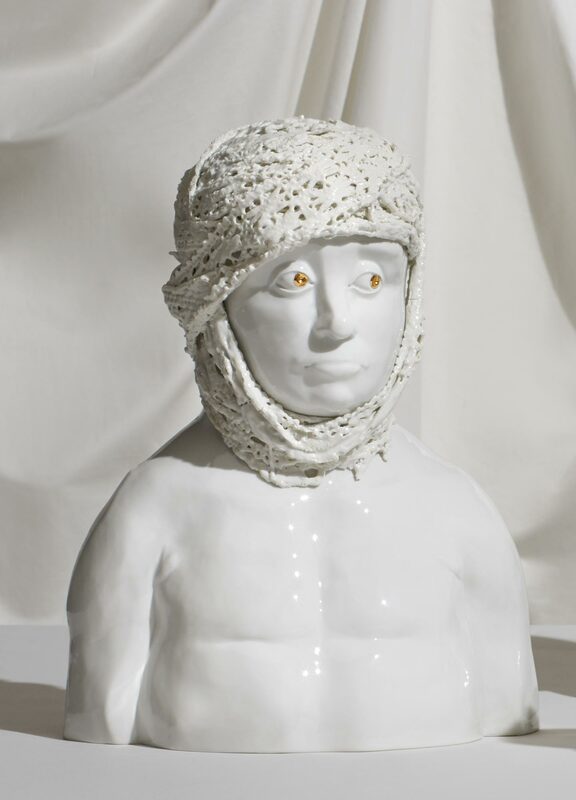 Exploring porcelain in both applied and fine arts. This series comprises one-of-a-kind works of art by such greats as K.O. Götz, Otto Piene, and Jen Ray. "A nod to Grand Hotel silverware, MEISSEN® Cosmopolitan presents itself with crisp, clear forms, paving the way for a contemporary dining culture in gold, platinum and mesh surfaces.